The field of SUVs with three rows of seats is crowded, so when automakers roll out redesigned models, they have to get it right or the competition will eat them for lunch. Ford's 2016 redesign of the Explorer is largely successful, having focused on a few areas that really needed improvement or outright replacement. Ford retuned the Explorer's suspension for 2016 to offer better handling and a quieter cabin as well as more differentiation among trim levels. The Explorer's standard estimated 290-hp, 3.5- liter V-6 and available estimated 365-hp, turbocharged Ecoboost V-6 in the Sport carry over for 2016. Platinum models use the Sport's 365-hp V-6 and all-wheel drive. Stepping up to the Platinum trim level adds a bevy of exterior features. 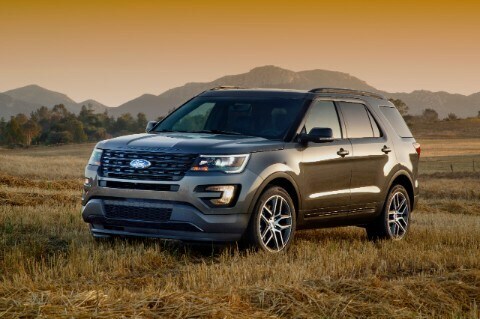 In a release, Ford says one in five Explorer Sport (previously the top trim) buyers have owned a luxury vehicle, and that they typically purchase the most-expensive trim package available, signaling to Ford that buyers were ready for a Platinum version. Platinum Explorers have unique LED headlight lighting, a standard dual-panel moonroof, silver-painted front and rear skid plates plus 20-inch wheels and an integrated exhaust with chrome bezels designed to reduce the appearance of soot collecting at the vehicle's rear. New safety and convenience features include front- and rearview cameras with wide-angle lenses, perpendicular and park-out assists, semi-automatic parallel parking, and smart-charging USB ports. Ford's Active Park now includes park-out assist and perpendicular park assist in addition to semiautomatic parallel parking. 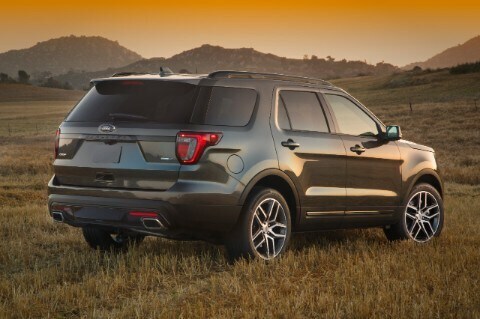 Give us a call today if you would like more information on the 2016 Ford Explorer!